If you’re planning a wedding in the Los Angeles area, we know you already have a lot on your plate. Luckily, transportation will be the least of your worries when you book through National Charter Bus Los Angeles. We offer a variety of travel solutions for groups of all shapes, sizes, and itineraries across the country, so we can assemble the perfect fleet to transport your guests anywhere at any time. 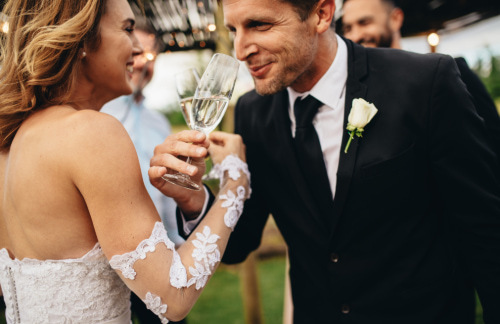 When you call 323-201-2618, a representative will provide you a free, no-obligation quote on a charter bus or minibus rental plan tailored to your wedding day travel needs. The need for a reliable ride doesn’t start and end on the wedding day. Make the most of all your wedding-related celebrations by booking the transportation beforehand. Coordinating a fun-filled night on the town for the wedding party and bachelor or bachelorette? A pre-planned minibus shuttle ensures everyone arrives safely and together. If you want to continue the party between lounges and bars, we can even find you a ride that allows alcohol on-board. Do your guests need a ride from their respective hotels to the rehearsal dinner? Your driver can pick everyone up curbside and swiftly transport them to Bestia, Casa Sanchez, or any of Los Angeles’ other fine eateries. With a trained professional behind the wheel, your passengers won’t have to worry about coordinating rideshares or hailing enough taxicabs to accommodate everyone. Instead, your guests can focus on enjoying your pre-wedding parties and get-togethers. We know your wedding will be as memorable as it is personalized and one-of-a-kind. So why settle for a cookie-cutter transportation plan? National Charter Bus Los Angeles specializes in tailoring travel experiences to best suit all passengers with top-of-the-line amenities. Impress your guests with upgrades like power outlets, plush reclining seats, auxiliary ports, and much more. For a sleek and polished look, request an all-black or all-white bus exterior to match the theme of your wedding. 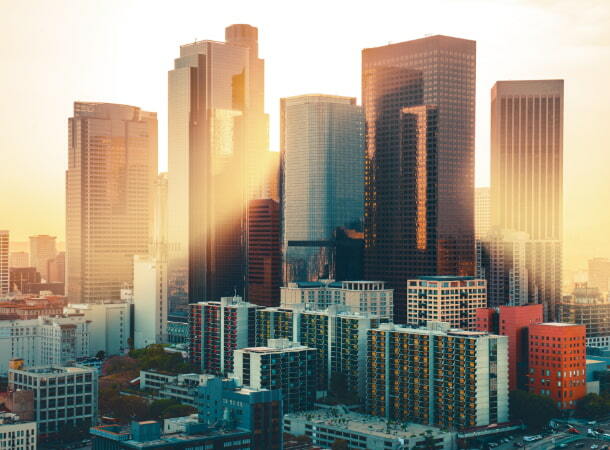 With everyone in the same vehicle, your guests can socialize and share pictures of your event with on-board WiFi, or simply watch the glamorous L.A. cityscape roll by through panoramic windows. Details such as these will ensure your guests’ comfort and add a personal touch that will make your big day that much more memorable. Are you ready to simplify travel to your Los Angeles wedding? 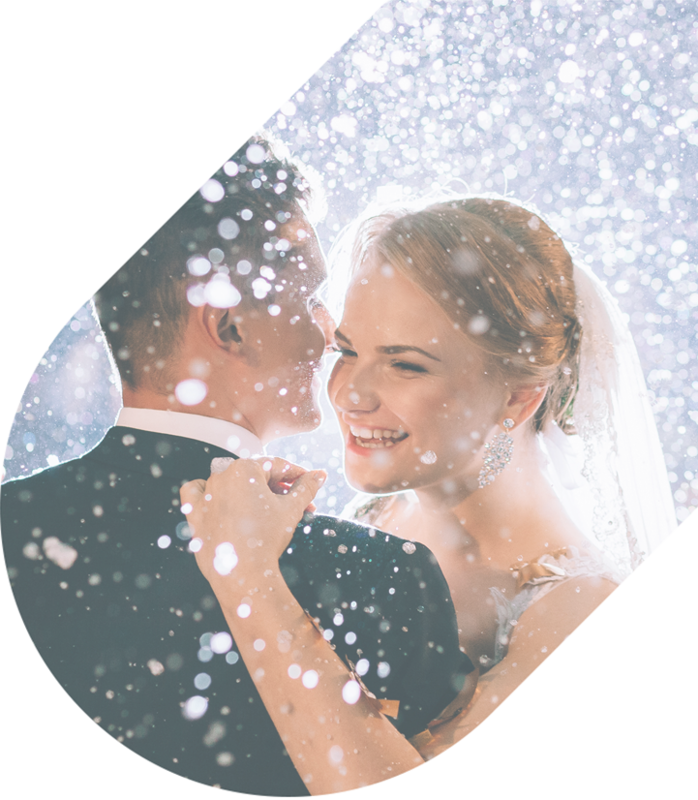 Whether your guests need a ride across the country or around Los Angeles, National Charter Bus guarantees safe and efficient wedding travel for everyone. We service cities from Seattle to Miami and everywhere in between, so we can find the right rental arrangement for you. Our reservation experts are available 24/7 to assist you throughout the rental process when you call us at 323-201-2618. Put together your ideal travel itinerary, and we’ll handle the rest!